Planning your next trip to New South Wales? Batemans Bay is the ultimate area to stay and this motor inn will make your stay memorable. 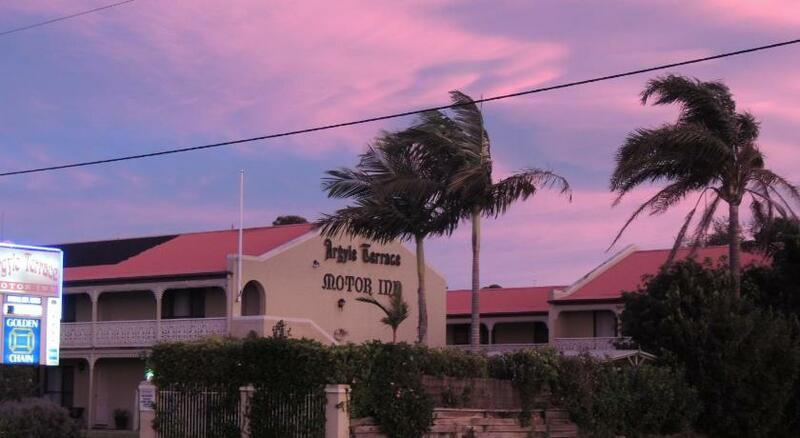 Argyle Terrace Motor Inn is modest accommodation that is the greatest for your accommodation needs. Overlooking Batemans Bay, Argyle Terrace boasts a solar-heated swimming pool, a sunny terrace and a barbecue area set in lovely gardens. It offers air-conditioned accommodation with flat-screen satellite Television. Free parking is available on site. Argyle Terrace Motor Inn is 3 minsâ€™ stroll from Batemans Bay Marina, and 5 minsâ€™ stroll from the Batemans Bay District Hospital. Canberra International Airport is a 2-hour drive away. A microwave, fridge and tea and coffee maker are standard in all rooms. Each room has a seating area and a restroom with a hairdryer. Some room types also have a private patio. In-room breaky is available at an additional cost. This property has been online since Apr 2, 2012.